When life gives you fennel, you make fennel sauerkraut. Or at least I do. Here in NorCal, fennel is a perennial vegetable, giving you lovely, fat bulbs year after year after year. I had one patch that gave me bulbs for 8 years before I finally dug it up. All you do is slice the bulbs off at the base. I typically get two cuttings a year: One in late summer, the next in early spring. Well, this spring was a bumper crop. I cut maybe 25 gigantic fennel bulbs, completely inundating my kitchen with anise-y goodness… and earwigs, which view the gaps in each fennel bulb the way you would an aromatic apartment complex. Cleaned and trimmed (I save the fronds and stalks for making broth and stock), I still had a ton of fennel. What to do? Kraut. I honestly had never heard of fennel sauerkraut before, but the idea just came to me. 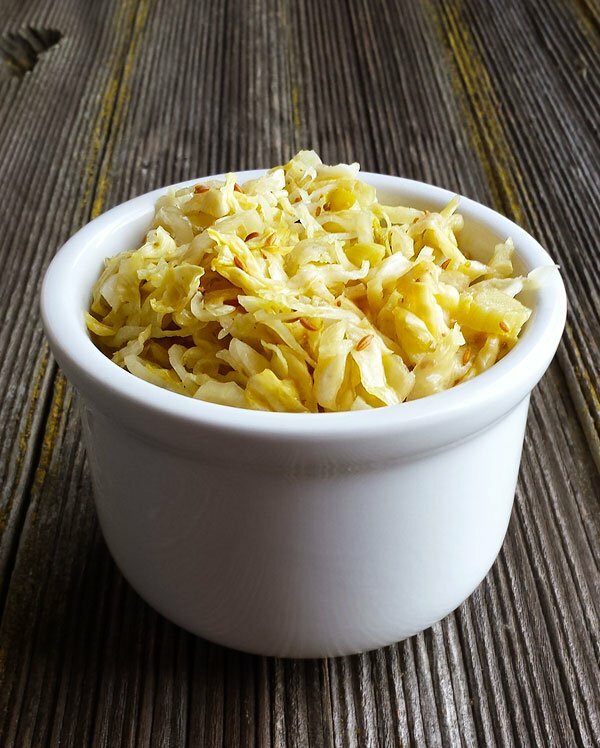 I looked it up on the InterWebz and quickly discovered that fennel kraut is a thing. So I look at a bunch of recipes and finally decided to just use my own standard kraut recipe, subbing in 50 percent shaved fennel for the shredded cabbage. My kraut is more or less standard, but I add a healthy dose of seeds to it, almost all from the Apiaceae family, which happens to include fennel. This is a Truth: Vegetables in the same botanical family tend to work well together in the kitchen, like carrots and parsley, onions and garlic, tomatoes and peppers. My kraut seed mix is caraway, celery seeds, fennel seed, wild carrot seed and one outside the Apiaceae clan: juniper berries. If you don’t happen to have any wild carrot seed lying around, which 99 percent of you won’t, just skip it. I like to ferment my kraut for three weeks, which is a nice balance of sour and salty, and the vegetables stay really crunchy. You can ferment less time or longer if you’d like. And remember, the kraut will continue to be alive in the fridge, changing and mellowing as time progresses. Serve this kraut wherever you would any other kraut, although this version tastes a little brighter a lighter than most other kraut recipes. Try it with your favorite sausage, or as a bed for Northern Italian canederli dumplings (knödel), which are basically the same thing as Bavarian dumplings, only a bit lighter. There’s also a great recipe for sauerkraut fritters in Chef Jeremy Nolen’s book New German Cooking: Recipes for Classics Revisited. 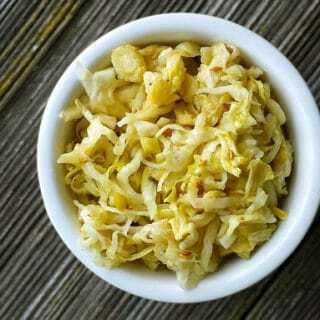 The crunchiness of this kraut really shines with the fennel, but if you don't have that much fennel lying around, you can certainly use this recipe to make a standard cabbage kraut with these seasonings. 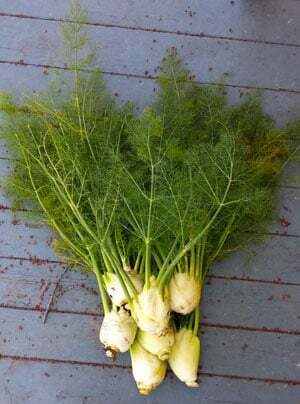 You can also use wild fennel, which doesn't set much of a bulb, but does have a sort of thick part at its base in spring that you can use if you slice it thinly. 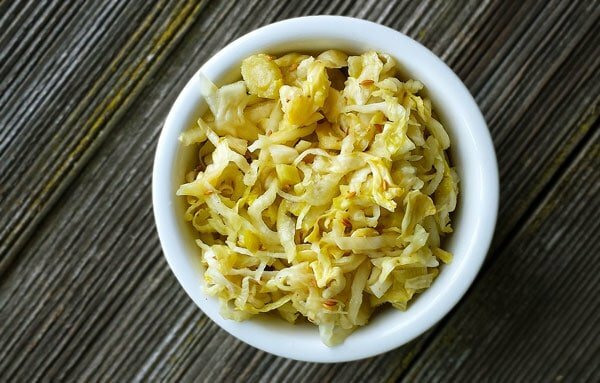 Mix the shredded fennel and cabbage well in a very large bowl. Put down a layer of the vegetables about an inch thick in a 3-gallon crock. Sprinkle with salt and some of the seeds. Repeat until you have everything in the crock. If you can, mix it one more time. Place a plate or somesuch on the kraut and weigh it down with a large jar of water. Put the crock in a cool, dark place. The next day, check to see if the vegetables have given up enough brine to completely cover themselves. If not, make some brine and add it. You want the brine to be 2 percent by weight, so 19 grams (or 0.7 ounces) of salt per quart of water. Let the sauerkraut ferment at between 60°F and 73°F for at least a week, and up to a month. To finish, remove the weight and plate and move the finished kraut to quart-sized canning jars. If there is not enough brine to completely submerge the fennel kraut in the jars, make more brine as you did in Step 2. Cover the jar with their lids and store in the refrigerator for basically ever. I've had batches of sauerkraut last 2 years in the fridge. Thank you for this recipe. I successfully make all sorts of “krauts” in heavy zip lock freezer bags. They are easy to burp, require much less work and equipment. When the “kraut” is to my taste, I refrigerate in glass jars.